BERKELEY — Even in middle school, Alva Gardner had her fashion standards. Jeans made expressly for wheelchair users — cut high in the back, low in the front, velcroed at the fly — seemed like a potential boon. 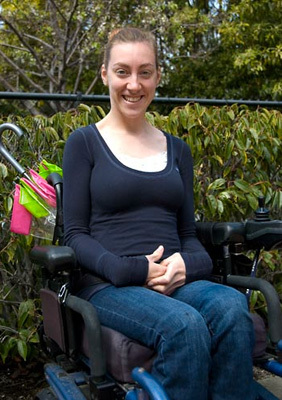 Fast forward to 2012: Gardner, now a 22-year-old Berkeley senior, aspires to work in the clothing industry — designing for people, women especially, whose bodies don’t fit the “norm” (a word she utters ironically, aided by air quotes).